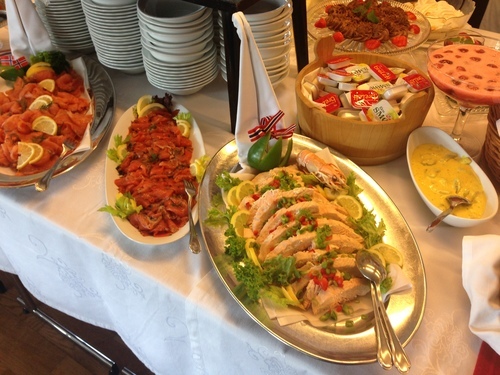 Eikum Hotel has been known for its great home cooking for almost a hundred years, the acclaimed “Heavenly Pudding” being its speciality. Brita, great grandmother to the current owner Ståle, started the tradition of good, home-made food back in 1919, a tradition that has been maintained until the present day, almost a century later. Ståle’s grandmother Ella and his mother Aud have continued Brita’s cookery traditions, and the inviting smell of home-cooked meatballs has been drifting through the hotel year after year for four generations. 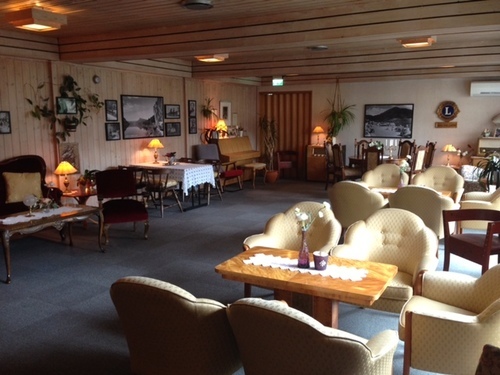 Along with the above-mentioned “Heavenly Pudding”, traditional fare such as roast pork, meatballs, roast beef, gravy, home-made cream cakes and Queen Maud pudding have been the mainstay of Eikum Hotel ever since its tender beginnings in 1919. Our dining hall can seat up to 240 guests, and we host both small and large events. 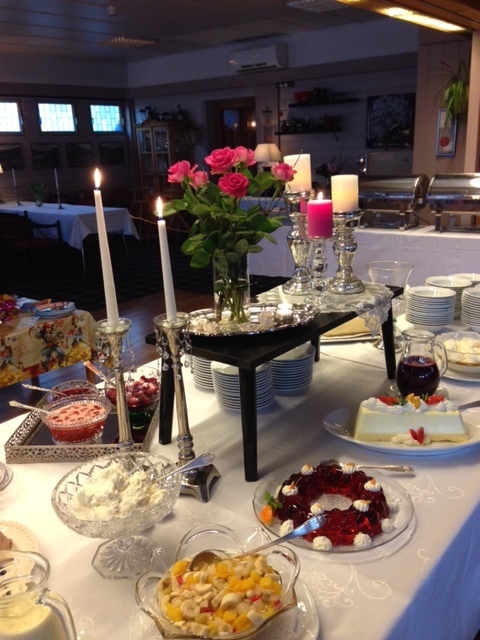 The current hosts have more than 40 years’ experience of organising parties and functions. A private function room can be provided, and the Brita-Stova room is available for smaller events. We serve a three-course menu every evening during summer from 19.00, using seasonal local produce. Our kitchen staff are flexible and more than happy to fulfil requests for dishes other than the menu of the day.